Alhamdulillah, all praises to Allah (Subhaanahu Wata’ala) who has blessed us to see another year. 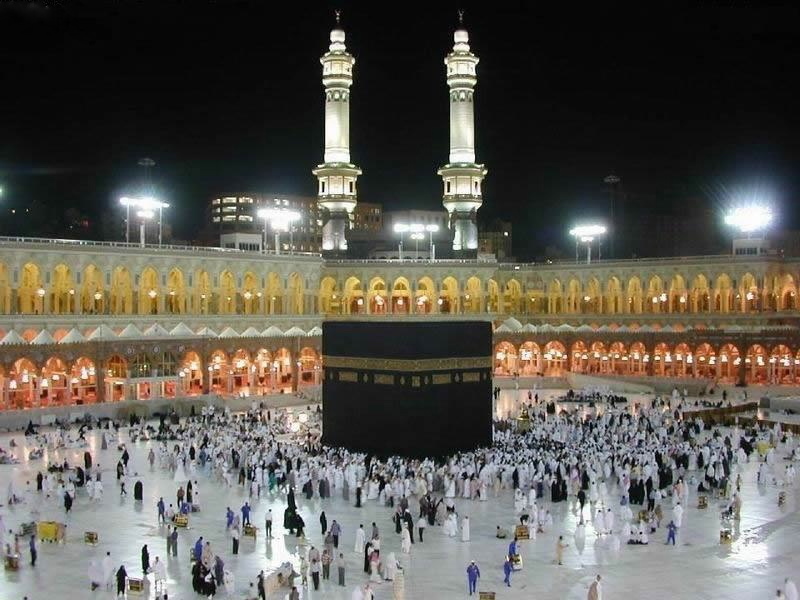 Ahead of us begins a very important month in the Islamic calendar, the holy month of Rajab al-Haram. It stands alone out of the four months which God has declared sacred Rajab, Dhul-Qida, Dhul-Hijja, and Muharram. It also opens the series of three holy months culminating in Ramadan: Rajab, Shaban, and Ramadan. During these three months everyone must prepare and keep himself, as much as possible, away from low traits, bad manners and sins. Rajab is the month of Allah (Subhaanahu Wata’ala). Sha`ban is my month. Ramadan is the month of my Ummah (community). From the above hadith, it shows that it is preferable to make du`a, to live through the coming months, in order to perform good actions in them, because a believer increases his goodness with age. The best of people is the one who lives long and performs good actions. Fasting the months of Rajab and Sha`ban as a nafila or supererogatory worship is recommended, with the intention of following the Sunnah of the Prophet (Sallallahu Alaihi Wa Sallam) by which the merit of this fast has clearly been established. The month of Rajab is a glorious month indeed. If someone has fasted for one day in Rajab, Allah (Subhaanahu Wata’ala) will record it in his credit column as the fast of a thousand years. If someone has fasted for two days in Rajab, Allah (Subhaanahu Wata’ala) will record it in his credit column as the fast of two thousand years. If someone has fasted for three days in Rajab, Allah (Subhaanahu Wata’ala) it in his credit column as the fast of three thousand years. If someone has fasted for seven days in Rajab, all the seven gates of Hell (Jahannam) wil be locked to make sure that he stays out of it. If someone has fasted for eight days in Rajab, al the eight gates of the Garden of Paradise will be held open for him, so that he may enter by whichever gate he chooses. The first Thursday of the holy month Rajab is both known as the “Night of wishes” or “Lailat Al-Ragha’ib” during which is performed the Salat Al-Ragha’ib. This sunnah prayer is performed between Magrib and Isha and it consists of 12 rakats (units) done in pairs (i.e. after each two rakats you must give Salams). O Lord! Forgive, have mercy and be indulgent about that which you know well, verily you are Sublime, Mighty. After completing all the above recitations, Ask Dua and seek your need with Allah (Subhaanahu Wata’ala) and Insha’Allah it will bw granted. 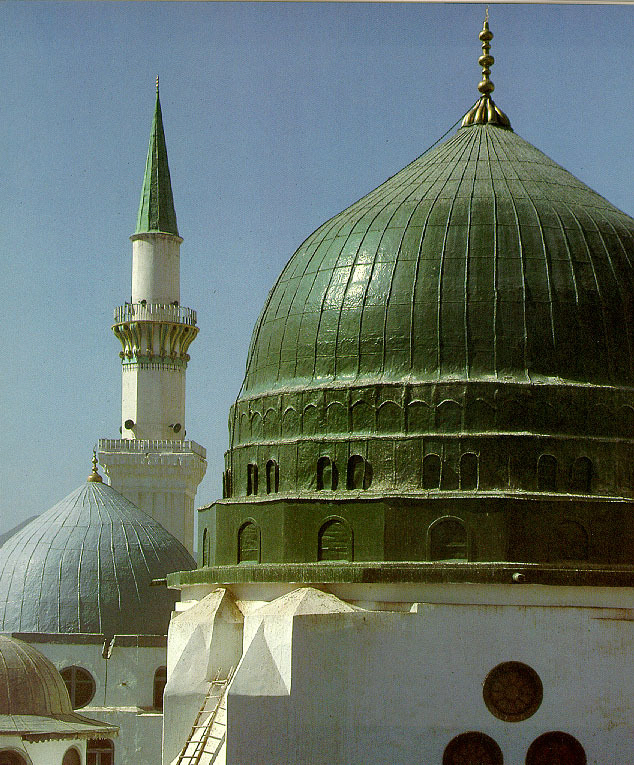 Lailat ul-Isra wal- Miraj (the 27th of Rajab): This is the night when the Holy prophet was taken up to the heavens to meet his Lord Allah (Subhaanahu Wata’ala). It is also known as the night of Ascension. It is the practice of the learned ones to pray 20 rakats between Magrib and Isha. 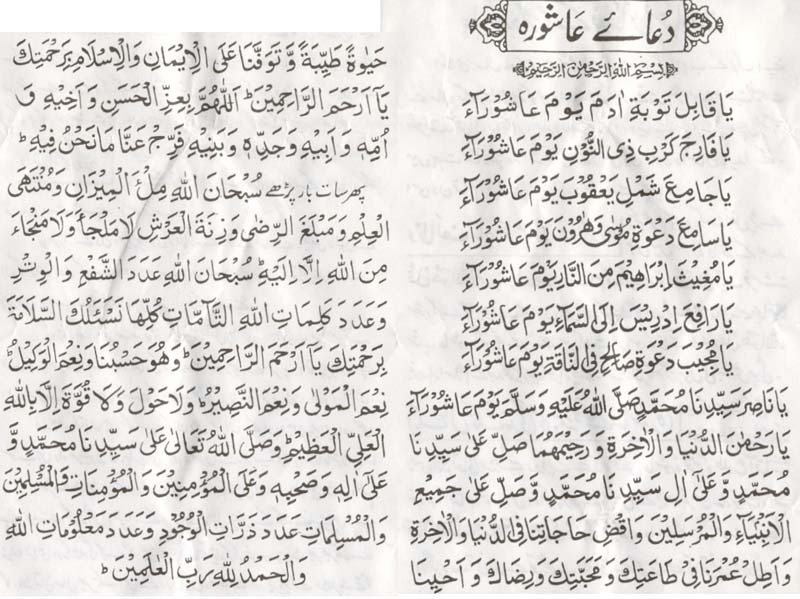 This prayer can be prayed either 2 rakats or 4 rakats at a time reciting 20 Surah Al Ikhlas in each rakat. 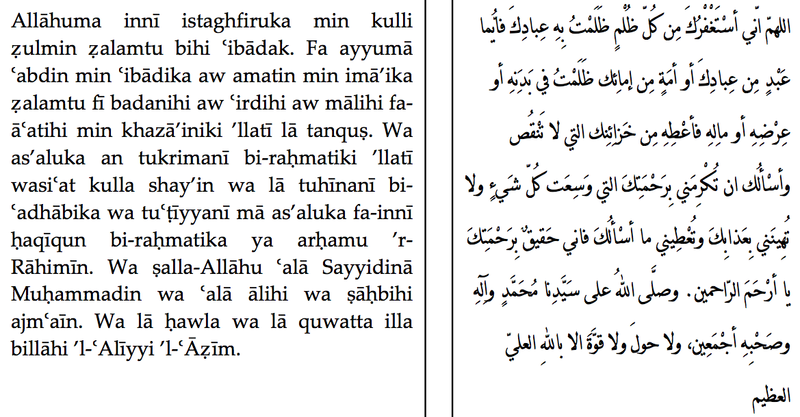 When finished you should recite out loud 100 Istighfar and 100 Salawat sharifah. Allahuma innee istaghfiruka min kulli maa tubtu lahu ilayka thumma ‘udtu feeh. wa istaghfiruka min kulli maa ‘aradtu bihi wajhika wa-khaalatanee feehi maa laysa feehi ridaak. wa istaghfiruk li-ni`am allatee taqawwaytu biha `ala ma`aseeyatik. wa istaghfiruka min aadh-dhunub allatee laa ya`lamahu ghayruka wa laa yattali`u `alayha ahadu n siwaak wa laa yasa`uha illa rahmatika wa la tunjee minha illa maghfiratuka wa hilmuka. laa ilaha illa-Anta, subhaanak! innee kuntu min adh-dhaalimeen. Alhamdulillah, all praises to Allah (Subhaanahu Wata’ala) who has blessed us to see another year. We are now in the month of God, al-Muharram, in which fasting is more beloved to God than any days other than Ramadan. In this holy month is an excellent day—the day of ‘Ashura—which falls on the 10th of Muharram. The Holy Prophet (Sallallahu Alaihi Wa Sallam) recommended that we fast on this day, by his Sunnah. He also indicated how we should observe the fast of ‘Ashura. ‘Ashura is a day of great historical significance. On this day: Allah (Subhaanahu Wata’ala) repentance of Sayyidina Adam (Alaihis-Salaam) after his exile from Paradise; Allah (Subhaanahu Wata’ala) saved Sayyidina Nuh (Alaihis-Salaam) and his companions in the ark; Allah extinguished the fire in which Sayyidina Ibrahim (Alaihis-Salaam) was thrown by Nimrod; And Allah (Subhaanahu Wata’ala) spoke directly to Sayyidina Musa (Alaihis-Salaam) and gave him the Commandments. On this same 10th of Muharram, Sayyidina Ayyub (Alaihis-Salaam) was restored to health (from leprosy); Sayyidina Yusuf (Alaihis-Salaam) was reunited with his father Ya’qub (Alaihis-Salaam); Sayyidina Yunus (Alaihis-Salaam) was taken out from the belly of the fish; and the sea was divided as the nation of israel was delivered from captivity and Pharoah’s army was destroyed. ‘Ashura is also the day when Sayyidina Dawud (Alaihis-Salaam) was forgiven; the kingdom of Sulaiman (‘Alaihis-Salaam) was restored; Sayyidina Isa (Alaihis-Salaam) was raised to Jannah and Sayyidina al-Husayn (Radi’Allahu Anh) (the Holy Prophet’s, Sallallahu Alaihi Wa Sallam, grandson) achieved the honor of Martyrdom. Worship Allah (Subhaanahu Wata’ala) as much as you can on ‘Ashura. Whoever fasts on this day is like one who fasts all his life. Whoever clothes a naked person Allah (Subhaanahu Wata’ala) will release him from a painful punishment. He who visits a sick person, Allah (Subhaanahu Wata’ala) will grant him a reward that will not be decreased. Whoever places his hand on an orphan’s head, or feeds a hungry person or gives water to a thirsty man, Allah will feed him a feast from Paradise and will quench his thirst with Salsabil (a wine that does not intoxicate). And who ever takes a Ghusl on this day will enjoy excellent health and freedom from sickness and indolence. Whoever provides generously for his family on this day, Allah (Subhaanahu Wata’ala) will be generous to him throughout this year. And whoever applies Kuhl to his eyes will never suffer from eye-sore again, Insha’Allah. Oh Allah! Forgive me my sins of which you are more aware than me. And if I commit these sins again, even then forgive me. Whatever promises I had made with myself to follow your commands have not been fulfilled. I seek your forbearance. 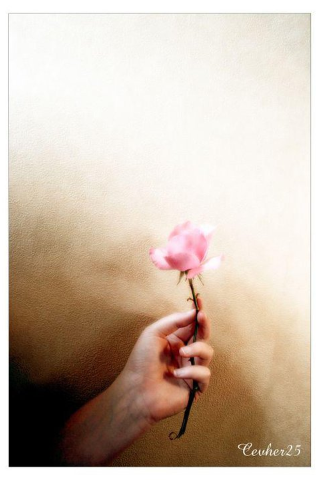 If I have sought your proximity with my tongue, but my heart did not keep pace with my tongue, overlook my lapse. O God, forgive me for my futile talk, vain desires and lapses of the tongue. Then Satan said, “Hey! Mr Gullible! And never once heard Allah Subhaanahu Wa Ta’ala say, “Here I am”? “Your calling of my name is My Reply. Subhan’Allah! Lets all strive to Remember Allah (Subhaanahu Wa Ta’ala) with every breath! Click on the image to watch the movie. 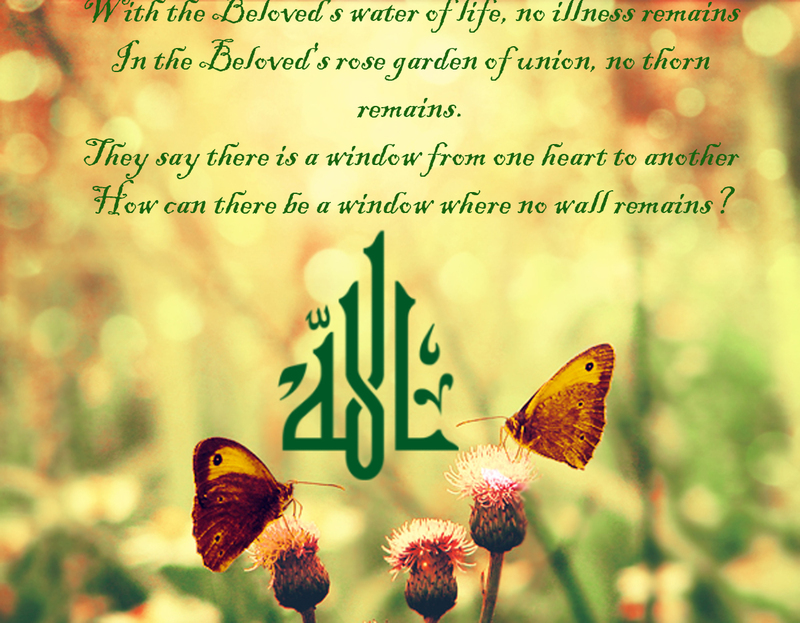 Imam Al Ghazzali left Dunya on Monday the 14th of Jumada Thani AH 505 (December 18, 1111), at the age of fifty-three. Margaret Smith in Al-Ghazzali the Mystic relates what took place in the days after his death according to his brother Ahmad Ghazzali. At the dawn of the day of his death, Imam Al-Ghazzali performed his ablutions and prayed and then said to his brother, “Bring me my shroud.” and taking it, he kissed it and laid it over his eyes and said, “Most gladly do I enter into the Presence of the King,” and he stretched out his feet and went forth to meet Him, and so passed into the Paradise of God, “worthy of all honor, of loftier station than the stars, giving more guidance to men than the full moon when darkness has fallen.” He was buried outside Tus in a grave near that of the poet Firdaousi. Ibn Al-Samani records that he visited Imam Al-Ghazzali’s grave there. Do not believe that this corpse you see is myself. Fashioned of dust which served me as a shrine. It was my prison where I spent my time in grief. And prepared for me my place in the highest of the heaven. Until today I was dead though alive in your midst. Now I live in truth with the grave-clothes discarded. Today I hold converse with the saints above. Let my house fall in ruins. Lay my cage in the ground. Cast away the talisman. It is a token, no more. Lay aside my cloak. It was but my outer garment. Place them all in the grave. Let them be forgotten. Your place of abode was no dwelling-place for me. A life that surpasses all we could dream of here. While in this world we are granted sleep. Death is but sleep, a sleep that shall be prolonged. Be not afraid when death draws near. For I know that you are even as I am. The souls of all people come forth from God. The bodies of all are compounded alike. Good and evil alike it was ours. I give you now a message of good cheer. All praises are due to Allah the Exalted who has blessed us to be on the doorstep of Ramaḍān. Many of the pious predecessors used to spend months preparing for the efforts they were going to exert in the holy month of Ramaḍān. These are excerpts from the book, “Kanz An-Najāḥ wa As-Surūr” (The Treasures of Success and Happiness) regarding the greatness of Sha‘bān and some of the recommended things to do during this month. It is highly recommended to repent frequently (tawbah) and increase in acts of worship, especially fasting. Whosoever prepares themselves with acts of worship and repentance in Sha‘bān will reap the benefits of those acts in Ramaḍān. Usama ibn Zayd, may Allah be pleased with him, asked the Prophet, peace and blessings be upon him, “I have never seen you offer fast in a month as you do in Sha‘bān.” The Prophet said, “It is a month people disregard that is between Rajab and Ramaḍān. In that month deeds are presented to the Lord of the Worlds, so I like my deeds to be presented while I am fasting.” [Nasa’i]. It’s too bad if you haven’t learned to ask. You’ll stay in Hell forever.